It's not a perfect single-player experience, but there are elements in place to keep player-killing and griefing down to a minimum. 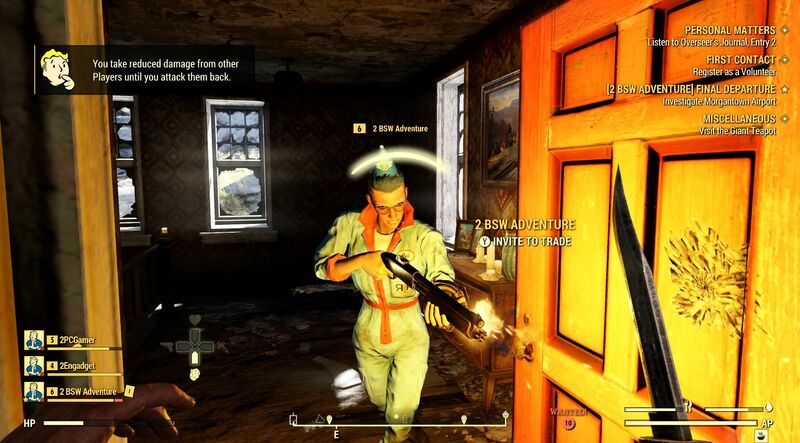 Fallout 76 is a major shift for Bethesda and for fans of the series, as the developers are crafting a fully online survival experience where every single human you encounter is another player. This will surely attract new players while boosting the experience for those already familiar with the wasteland, but there are some players that are curious if they’ll be able to play the game solo like the most recent Fallout entries. I have no clue what happens if you're playing the game and lose your connection, but there's no active option at all to play Fallout 76 offline. The majority of the experience is built around completing objectives with other players in some form or another, but you can at least avoid the PvP conflicts if that’s not your cup of tea. This is accomplished in a handful of ways, but the most important is not shooting back or attacking players that are attacking you. 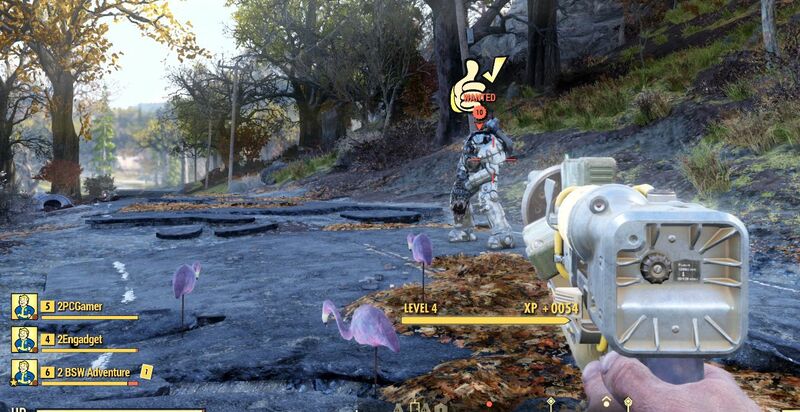 I learned a lot during my hands-on experience in West Virginia, but PvP, griefing, and the like were major priorities for me as I stepped out of Vault 76. One smart design choice is that players can’t even attack each other until they’re level five or above. This keeps higher level players from farming and constantly attacking lower-level players as they step out into the world. Even once you reach level five, you can simply not return fire when someone comes after you. Damage is lowered if you’re not engaging with them and, if they continue to attack and kill you, it earns them the much-talked-about designation as Murderer and makes them Wanted on the server. Wanted players can’t see other players on the minimap at all, but can be seen by everyone else. There’s also a cap bounty placed on their head and it will be paid out of their own pockets. Essentially, there’s no real incentive to be a murderer and the punishment is fitting. With this system in place, players that want to go it alone for a while can do so knowing that players can’t benefit from design that makes lone targets valuable in any way. Nevertheless, the solo experience will be limited. This isn’t Fallout 5 and the developers do emphasize team-play regularly. There's also a pacifisct mode that's set to "on" by default and it keeps you from shooting other players by mistake, but the full scope of this feature is a bit murky right now. We've reached out to the team for additional clarification and will update as more information is made available. In the gameplay video below, you can see me transition from the collector of a Wanted Murderer's bounty to becoming Wanted myself...and getting hunted by my own teammate. After heading out to West Virginia, we published a full Fallout 76 hands-on impression to get a feel for what Bethesda was doing before the B.E.T.A. goes live October 23 for Xbox One players and October 30 for PS4 and PC players. For more exclusive interviews, gameplay, walkthroughs, and other gaming and tech-centered videos, head over to the Shacknews and GamerhubTV YouTube channels.